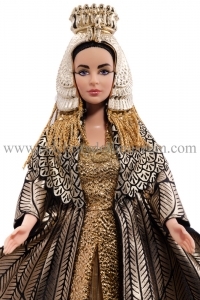 The Elizabeth Taylor celebrity doll portrays her as Cleopatra and was manufactured by Mattel under the Barbie name in 1999. 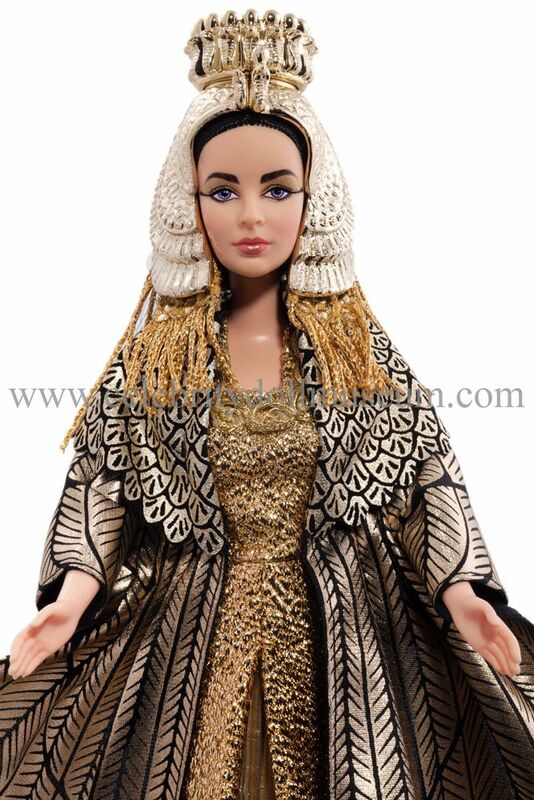 It is the first in the Elizabeth Taylor Collection series. 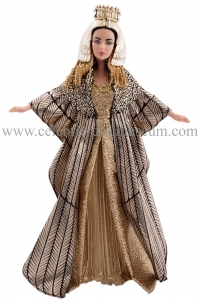 The costume is a reproduction of her golden Cleopatra outfit in the 1963 movie Cleopatra starring Taylor with Richard Burton. In addition to the elaborate black and gold floor length gown and gold tasseled headdress (top part is not in the photos), the doll wears faux suede leather sandals with knee high gold cord straps. 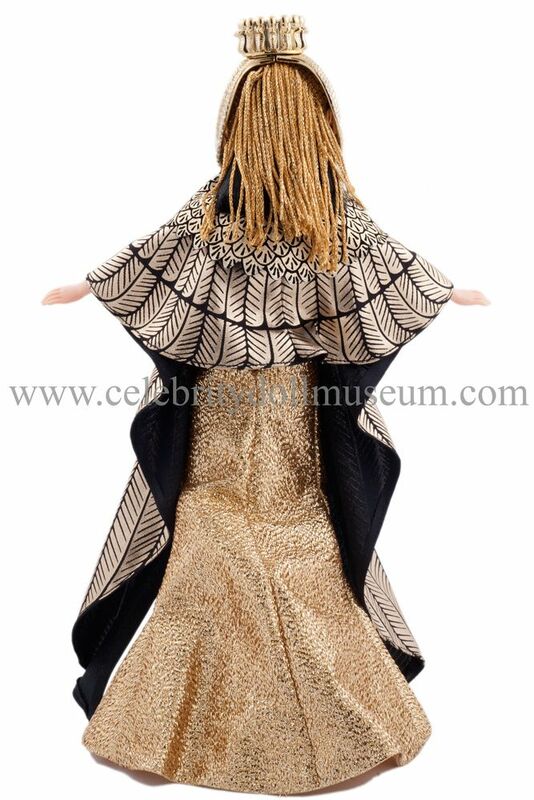 The gold plastic headdress is permanently attached in two places on top of the head but it appears the jet black shoulder length hair would completely cover the head if removed. 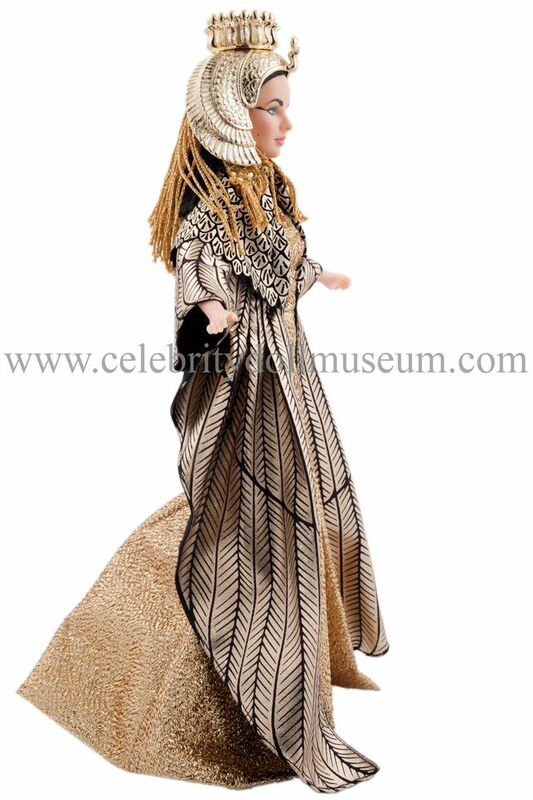 The dress, ‘feather’ covering, and headdress tassels are stitched together to keep them in place, but could be removed if the basting stitches were broken. The sleeveless gold dress is snapped closed in the back with black underwear underneath. 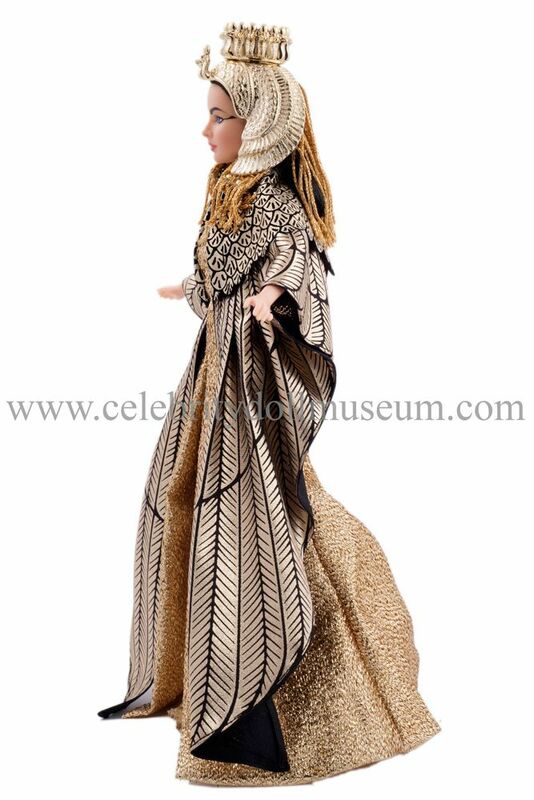 The Elizabeth Taylor doll bends at the knees and twists at waist. 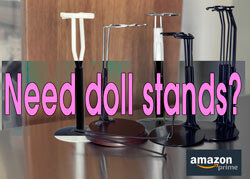 Head tilts and turns, shoulders and hips move forward and backwards only, and the arms are stiff. 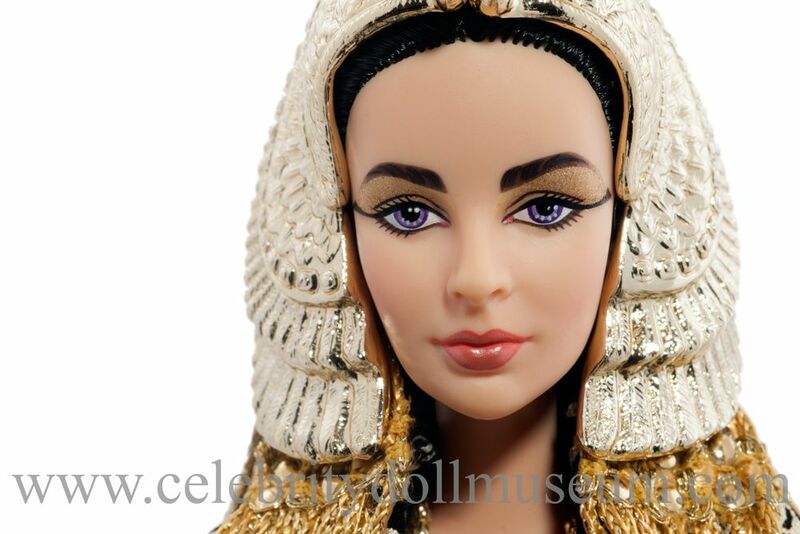 Where can I buy the elizabeth taylor cleopatra doll? I live in the uk.